Yoga vs. Pilates: which is better for you? 2019 is fast approaching and resolution-fuelled gym memberships are sure to rocket, as they always do. 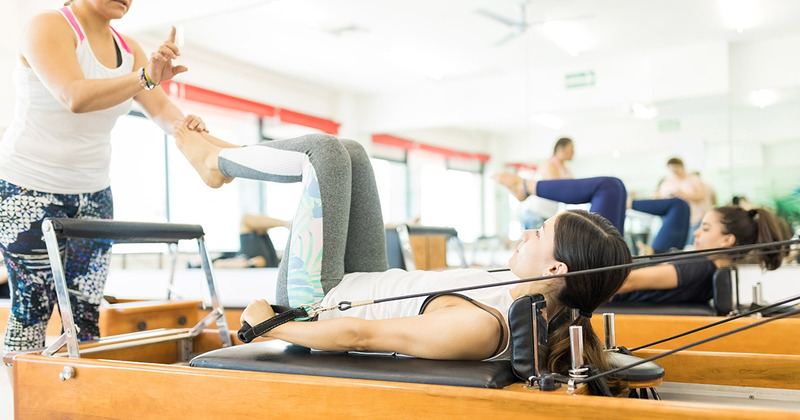 Maybe you’re just starting out, taking care of a niggly injury you’ve been ignoring, or perhaps this is your time to take a step back and find a way to reinvigorate your exercise programme – in any case, if you’re researching a new workout, yoga and Pilates are two that are sure to come up. The bad news? The answer might not be as simple as anyone hoped. The good news, however, is that none of these are wrong. So, as we delve into the research, always remember to keep your personal journey in mind. “The human body is a holistic entity comprised of various interrelated dimensions inseparable from one another” – if one part of the body becomes ill, the whole system is affected. If there’s one thing that Pilates can’t touch on yoga, it’s longevity, having been around for thousands of years. Of course, since that time, variants have popped up, and in our post-hipster world, this is where some of the stigma around yoga stems from. Lean body mass is body fat weight subtracted from total body weight. Therefore, although Pilates can help you lose weight, you need to make sure it aligns with your fitness goal. We’ve already established that traditional yoga will generally burn less calories than the same amount of time doing Pilates – but if it were that simple, yoga would cease to exist. Yet, a hundred years on, here we are comparing the two. And we’re not the only ones. Scholars in India studied a group of 60 women from Calicut University aged 20-25, who were divided into four workout groups: yoga, Pilates, combo of yoga and Pilates, and a control group who did neither. Exercise sessions were held on five days per week for a period of six weeks. 20 college students who majored in Physical Education were split into two groups: one participating in yoga; the other, Pilates. Their autonomic nervous systems were measures before and immediately after their workouts, as well as after an additional 30 minutes of rest. The result? One promotes strength gains, the other increases your flexibility. The question perhaps shouldn’t be which is better, but why not do both? At Modius Health, we’re firm believers in keeping things in balance. Maybe the yin and yang of yoga should be combined with the strength gains of Pilates for a rounded workout programme? So, why not try both! Whichever workout programme is right for you, keep working hard at it and remember your diet plan needs attention, too – healthy inside, healthy outside.